This Cat6a shielded ethernet cable consists of a RJ45 male on one end and a RJ45 male on the other. 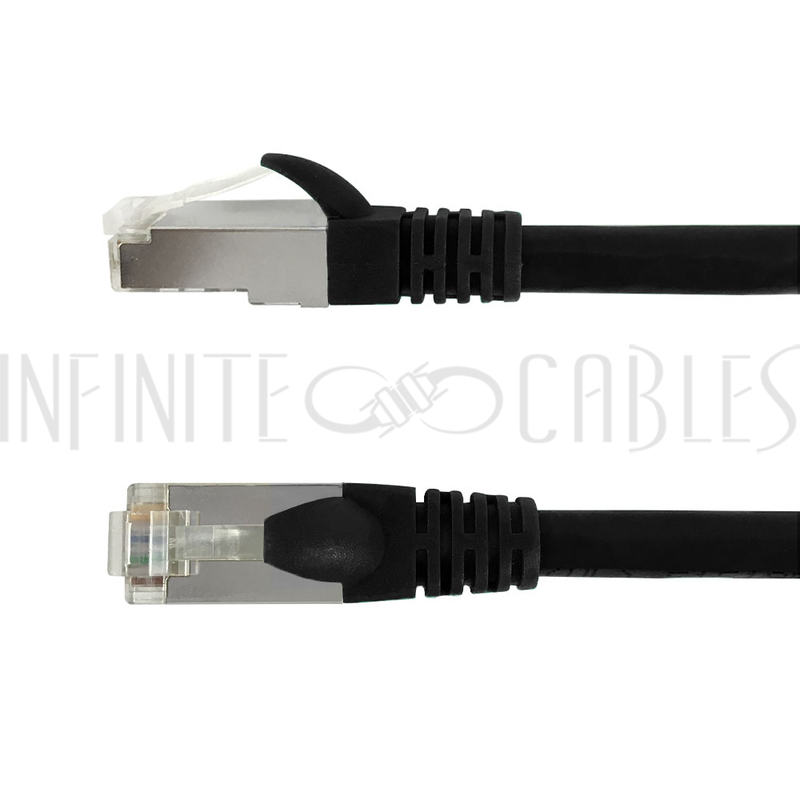 It is typically used for ethernet network connections such as patch panels, switches and computers to routers. The shielding helps protect against electro-magenetic (EMI) and radio frequency interference (RFI). 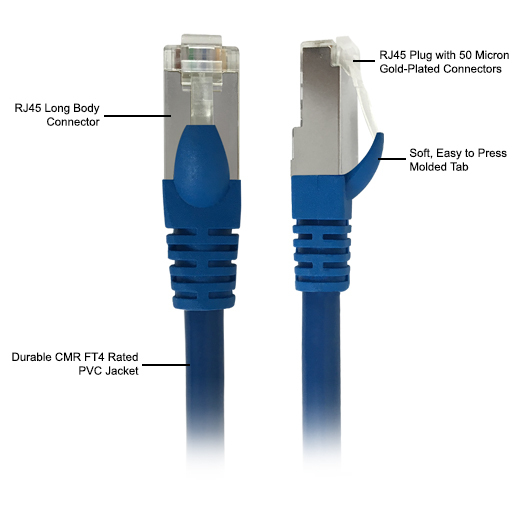 Foil shield on individual pairs plus overall braid is optimal for interference prone areas, and shielded RJ45 connectors offer enhanced isolation.